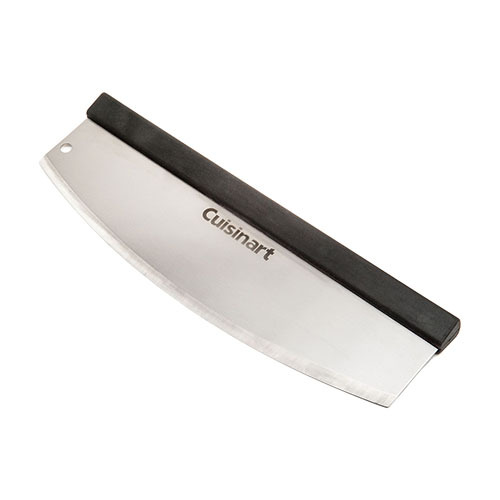 The Cuisinart CPS-050 is a quick cut pizza cutter which is designed to cut pizzas with quick and simple rocking motions. The 15-inch pre-sharpened blade comes ready to cut with a long rubber grip for comfortable and controlled cutting. Cutter can also be used to portion dough to prepare delicious pizzas. The Cuisinart Quick Cut Pizza Cutter has many exciting features for users of all types. 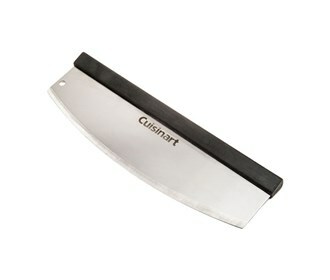 See the Cuisinart Quick Cut Pizza Cutter gallery images above for more product views. The Cuisinart Quick Cut Pizza Cutter is sold as a Brand New Unopened Item.